“Jazztronik” is a free-form music project by Ryota Nozaki. His debut was in 1998, with the album “Numero Uno”. Also he became the first Japanese artist to be featured as the Mixing DJ in the Mix CD “Defected In The House”. Mad Mats”(2009). His latest original album is ‘’Keystone’’(2016). His track “Samurai” in the Album “Nanairo”(2004) became one of his biggest hits worldwide and topped many DJs charts like Gille Peterson, Danny Krivit and Louie Vega. His fame spread globally with “Samurai” and he became the best known Japanese DJ in the world. He has been booked to festivals like Southport Weekender, Kaunas Fes(Lithuania), Jazzkaar Fes(Estonia), April Jazz Fes (Finland) and also toured cities like New York, Paris, London, Manchester, Rome, Seoul, Shanghai and countries like Slovakia,Croatia, Ireland… and so on as a DJ and Live in concert. 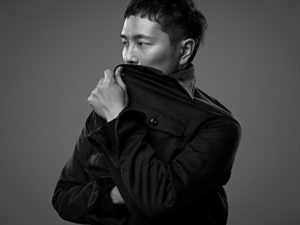 He has been chosen by LEXUS New Model Car ‘’CT200h’’ as a Japanese musician who is popular in the world, so he appears on many web sites and in magazines as a model and navigator.